If your school is interested in participating in one of our one-of-a-kind experiences, contact Jenn Taylor at jtaylor34@ucmerced.edu or Katie Brokaw kbrokaw@ucmerced for more information. 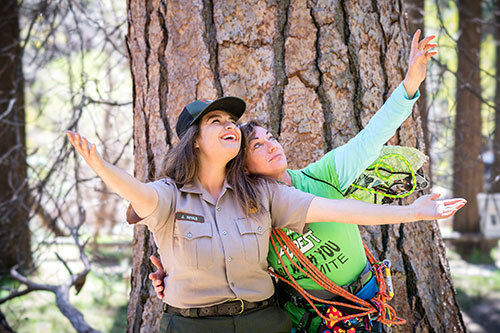 Join us to celebrate Shakespeare’s birthday, Earth Day, and the conclusion of National Parks Week in Yosemite National Park for a free 90-minute production of the comedy “As You Like It,” featuring Lisa Wolpe as Duke Frederick and Jaques. “As You Like It” tells the story of Rosalind as she escapes the wrath of her evil uncle by running away—with her cousin and best friend Celia—to the forest of Arden. Disguised as a young man and away from the city, Rosalind finds new freedom in the woods, and new liberty to talk to the object of her affection, Orlando. The clownish Touchstone, the melancholy Jaques, a group of foresters and feuding siblings thicken the plot, which features live music throughout and the famous “all the world’s a stage” speech. 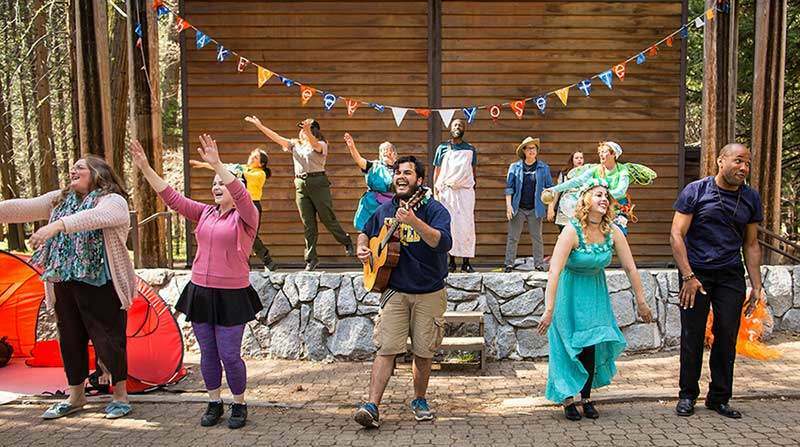 With lots of song and dance, many laughs, and a powerful environmental message, this year’s production has something for park-goers of all ages. The play has been adapted especially for its unique location by Shakespeare scholars Professor Katherine Steele Brokaw from UC Merced and Professor Paul Prescott from the University of Warwick. 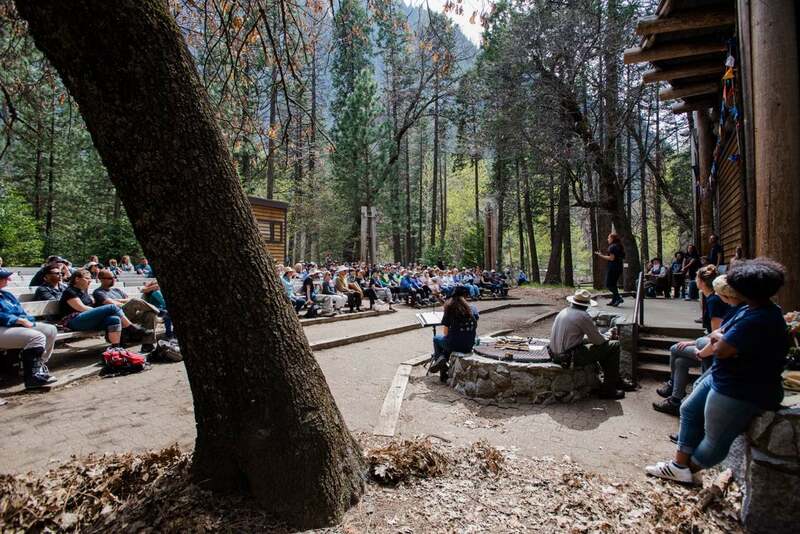 Lower River Amphitheater is located near the Merced River on the other side of Housekeeping Camp. 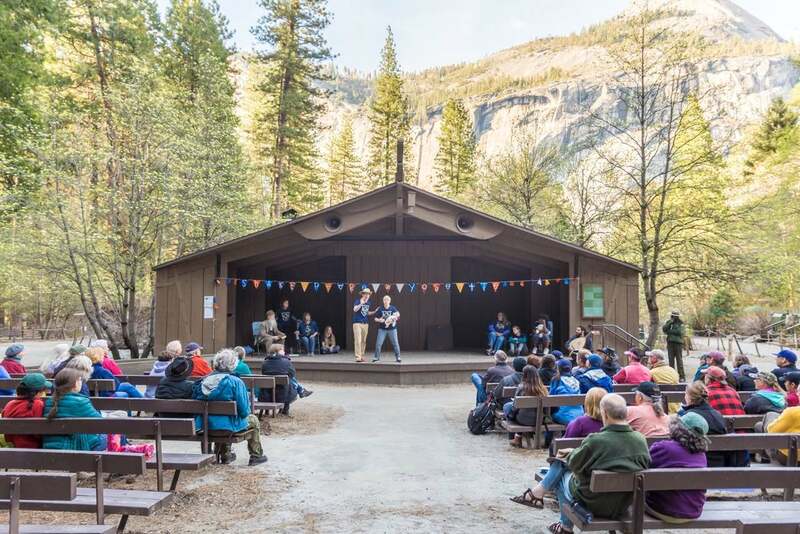 The rainy day location for the Lower River Amphitheater shows is the Yosemite Village theatre, directly behind the Valley Visitor Center in Yosemite Village. 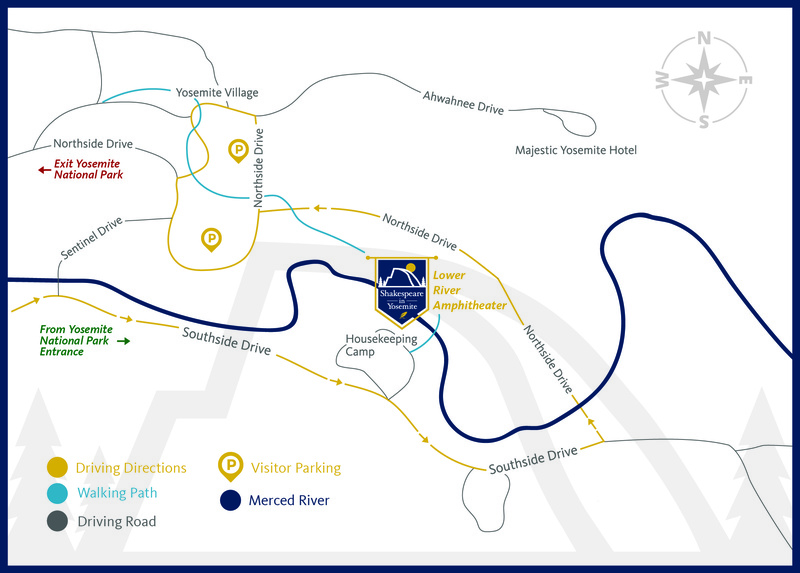 From Yosemite Village you can walk 20 minutes across Majestic Meadow to get to the venue—there will be volunteers and signage and music to help you find your way; shuttle stop 1 near the central Valley parking lot gets you even closer to the venue. It’s less than a 10-minute walk from that parking lot to the venue. You can also get off the Yosemite Valley shuttle at stop 12 (Housekeeping Camp) and walk along the river near Housekeeping Camp until you get to a bridge. After crossing the bridge, turn left and follow a short trail to the Lower River Amphitheater, a five- to seven-minute walk. UC Merced students, faculty and staff members: Opportunities to be transported via motor coach, watch the 11:00 a.m. performances, and have leisure time in the park will be available for the Saturday and Sunday. A registration link will be sent to your UC Merced email address. Please visit the Travel Yosemite website for accommodation information. 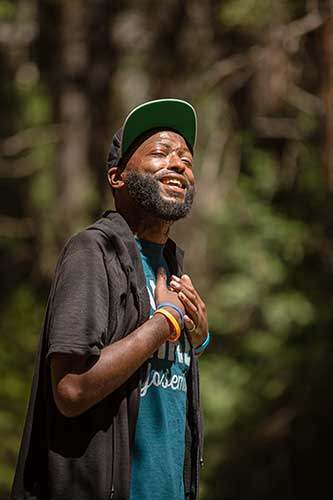 In April 2018, about 1000 people saw Shakespeare in Yosemite’s “A Midsummer Night’s Dream.” The show was headlined by Lisa Wolpe, founder of Los Angeles Women’s Shakespeare Company, and also starred Connie Stetson, known to Park visitors for her performances as Sarah Hawkins in the Yosemite theatre; Devon Glover, AKA the Sonnet Man, an internationally-known hip hop Shakespeare artist; and Yosemite Ranger and UC Merced alumna Jessica Rivas. Student and community actors from University of California, Merced, and across the Central Valley rounded out the cast. Devon Glover AKA the Sonnet Man also performed hip-hop Shakespeare at all four of Merced’s middle schools as part of the week’s festivities. 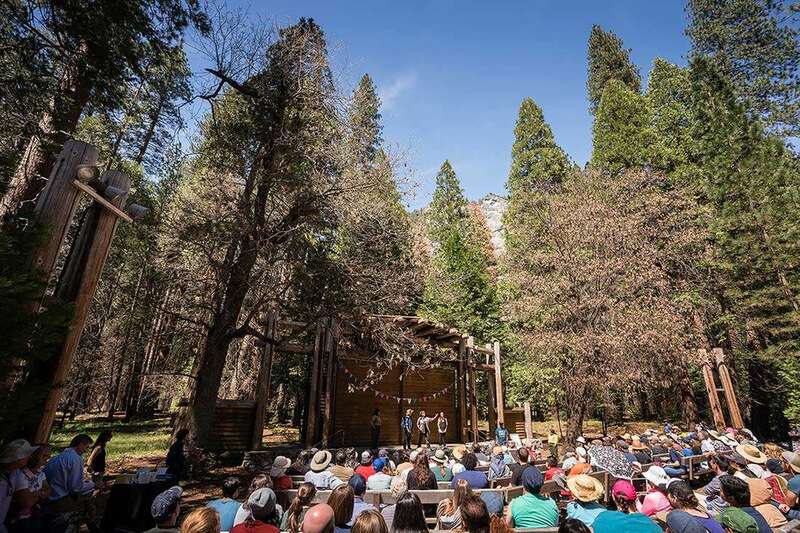 In 2017, Shakespeare in Yosemite was launched with a 1-hour original show pulling together scenes and speeches from Shakespeare with the writings of John Muir. The production featured Lee Stetson as John Muir, Ranger Shelton Johnson and a team of community and student actors.